I purchased a 1991 O'Day 290 in the Fall of 2004 to sail on Colorado lakes. After several years of sailing her without a name she was christened "Belmira". The restoration and customization of Belmira led to plans to eventually trailer her to the East Coast once I retired in the Spring of 2010. Belmira was to return to her birthplace, the waters of Narragansett Bay. She was built at the Pearson boat yard in Portsmouth, RI. At some point in the early Summer of 2009, I decided it would make more sense to sell Belmira in Colorado and look for another boat on the East Coast. The logic being that I would not have to trailer her the nearly 1900 miles, and although the 290 is a good coastal cruiser, a more ocean worthy boat could allow for more adventurous cruising. So it was with some reluctance that I sold Belmira. You can still see what a great boat she is, and what great shape she was in when I sold her, at, belmira.org. Now it was off to find a new old boat to fit the plan. After some research into ocean worthy cruising boats, I started looking for either a Pearson 36 or and Allied Princess 36 located somewhere in the New England area. I found a 1980 Allied Princess II ketch and after a trip to the East Coast and a careful inspection, I bought a new project boat, Allied Princess II, hull #138, in October 2009. Although fundamentally sound, I have taken on a project that will require a large investment in sweat equity, as well as the usual cash outlay that is an integral part of owning any sailboat. After buying the boat I relocated her to a yard on the Taunton River,in the North End of Mount Hope Bay, where I winterized her and had her hauled and set on the hard until Spring. I retired as planned, on April 2nd, 2010 and plan to haul myself and all of the new gear back to New England around the first part of May to start the real work. The first order of business will be proper de-naming and re-naming ceremonies for the new "Belmira". As most sailors know, this will require a generous amount of toasting with a liquid worthy of the task at hand, and proper sacrifices and acknowledgments to the sea gods. 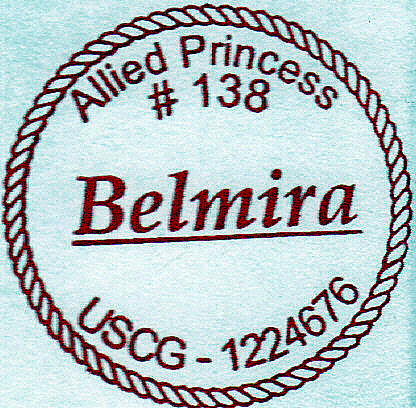 If all goes as planned, I hope to be sailing Belmira sometime around mid-June. Stay tuned for updates and follow the links to the continuing saga of my "New Old Boat".